If you catch tooth decay in the early stages, it’s important to take action right away. Minimal tooth decay can often be repaired. Delaying treatment may cause extensive decay that will need to be removed. At Markham Eglinton Dental Centre, we’ll recommend treatment based on how severely your teeth have been damaged by the decay. 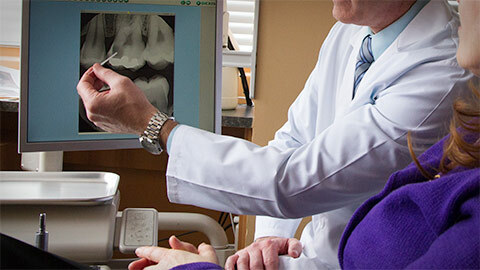 Our dentists will always discuss your options with you before proceeding with treatment. 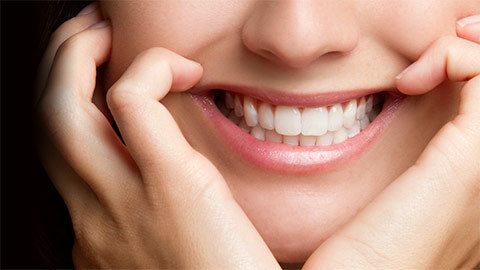 If plaque has dissolved the enamel of your tooth -- making a tiny cavity -- the solution is often as easy as a filling. Dentists at Markham Eglinton Dental Centre can remove the decayed portion of your tooth, and fill the space with metal or porcelain. If a tooth already contains several fillings -- or has a large amount of decay -- we could suggest a crown. This encircles (or “caps”) your tooth, protecting it and keeping it strong. Crowns can be made of gold, porcelain fused to metal, or pure white porcelain (to resemble a natural tooth). You may require a root canal if tooth decay progresses and damages the nerve of your tooth. Dentists at Markham Eglinton Dental Centre can remove the damaged nerve and fill the space with new material -- allowing you to keep your natural tooth. Since the tooth no longer has a nerve to provide its blood supply, we may place a crown over your tooth to prevent it from chipping or cracking easily. A badly-decayed tooth often needs to be removed, and a good solution is putting a dental implant in its place. A titanium implant is placed in the bone, and a new crown is placed on the implant. Dental implants do not affect adjacent teeth, and are considered to be the closest solution to having a strong, healthy natural tooth. They allow you to smile, speak and eat with comfort and confidence. Call or email Markham Eglinton Dental Centre today to learn more about our general restoration services. A: At Markham Eglinton Dental Centre, two appointments are required for a crown restoration. During the first appointment, we prepare your tooth, and take an impression for the dental lab. During your second appointment, we place your new, custom crown. A: It depends on many factors -- regular dental care, your brushing and flossing habits, your diet, etc. It's different for every patient, but unfortunately nothing in the dental world can be guaranteed forever. It is likely that future restorations will be required at some point. A: When you are missing a tooth (or multiple teeth), the adjacent teeth will shift in an attempt to fill the gap. This can change the shape of your mouth and face over time -- making you appear older. It also allows food and bacteria to become trapped more easily, leading to further decay. 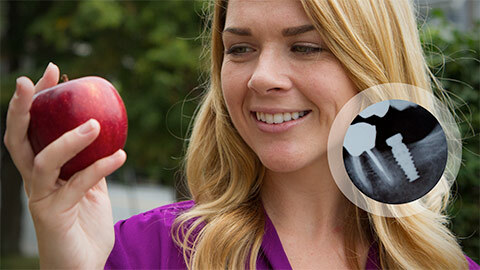 Talk to Markham Eglinton Dental Centre today about a bridge or a dental implant to replace your missing tooth. A: It depends on your coverage. The front office staff of Markham Eglinton Dental Centre would be happy to help you understand your available coverage, so call us today.